In this paper, the application of Differential Evolution in machine optimization is introduced. This enables the optimization of different production processes in modern industrial machines, without having in depth knowledge of the inner workings of production units. 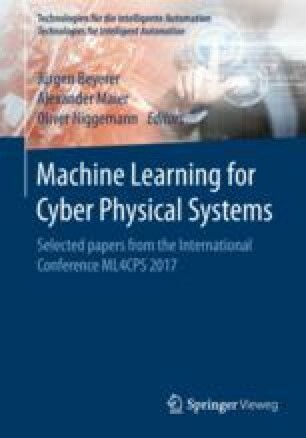 Therefor, sensor data is recorded and certain properties like manufacturing time or quality are introduced as new fitness criteria for the evolutionary computing algorithm. This is demonstrated in an exemplary use case for injection moulding. Furthermore, a concept for constant production process stabilization is presented for future research.